There is rarely a destination that is only for one type of tourist, but some go beyond. The Croatian island of Hvar seems to deliver on almost all levels. There are some amazing things to do in Hvar and you definitely won’t be disappointed with the number of choices here. It is a posh island getaway that serves up a laid-back Mediterranean vibe rich with heritage and history suitable for anyone wondering where to go in Croatia. The welcoming atmosphere on the sun-drenched island of Hvar is renowned, making it a well-known destination, yet it seems poised to grow even larger. As celebrities like Beyonce, Prince Harry, Brad Pitt and Tom Cruise continue to make waves visiting on private yachts. 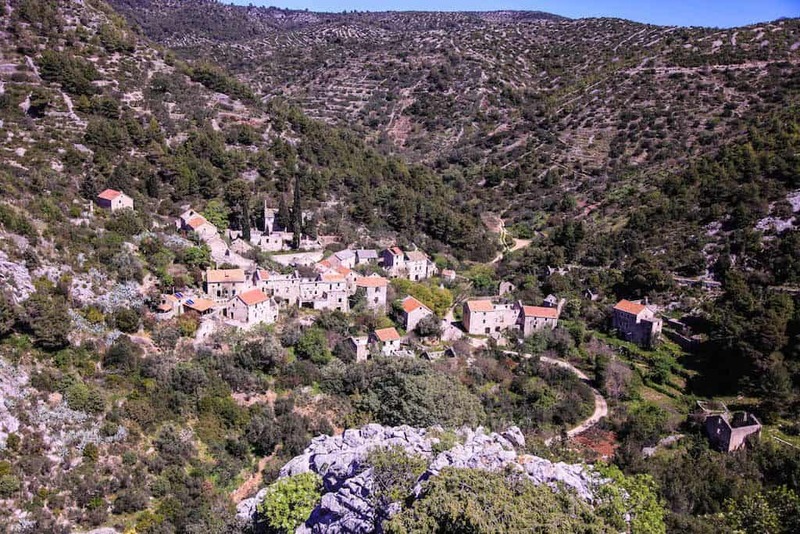 Visitors are provided a chance to hike along ancient goat paths to abandoned villages, sunbath au naturale in beautiful turquoise coves, race along dirt roads, dine on rich Adriatic seafood, and party late into the next morning. Hvar Town is unique in that it is for all–One can find yachts and sailboats lined up in the harbor while full-service resorts, hotels, hostels, and affordable apartments accommodate anyone. Hvar town caters to all interests; We came to Hvar in search of some adventure and relaxation. This is precisely what we found. 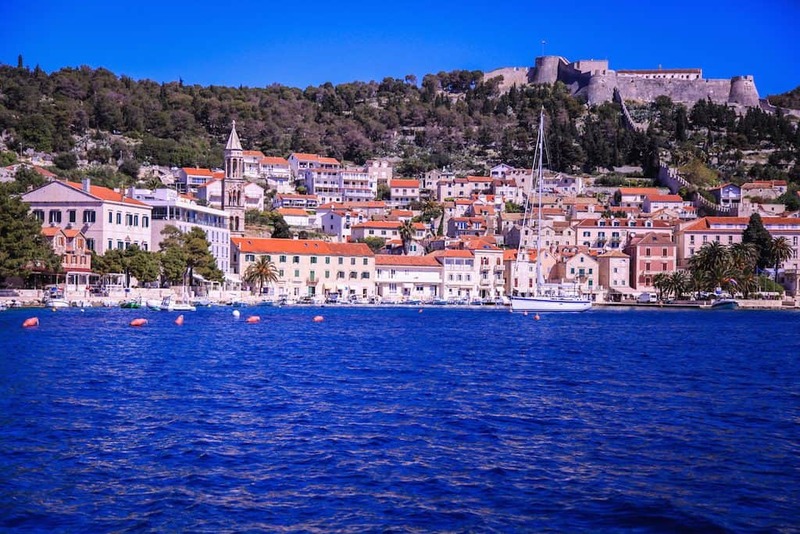 Before we dig into this post you may be wondering where Hvar is actually located. Hvar is located off the Dalmatian Coast, and is relatively large at 68 km long. It lies between the other Croatian islands of Brač, Vis and Korčula. If you’re coming from the mainland you’ll have to get to either Split or Drvenik and then catch the ferry. If traveling by plane the best places to fly into are Split, Dubrovnik and Brac. We arrived in Hvar town in mid-April. In true Hvar fashion, we were greeted with a bright, sunny day. It is one of the sunniest points in Europe and has pleasant weather almost year round. Our first afternoon in Hvar was spent getting acquainted with the town. It’s often the first thing we do when we arrive in a city. When viewing the old town Hvar the city remains visually the same as it did centuries earlier, roofs are red tiled, alleys are smooth marble. and porticos sit high above narrow alleys. Most alleys lead back into St. Stephens Square. Which, after six centuries of existence St. Stephens square remains the central point of Hvar, even in the off-season when locals congregate in the cafes lining the square. The harbor itself was quiet during April, aside from a few sailboats, it was empty in comparison to the summer months when yachts compete for space. April is the calm before the storm, yet locals remain relaxed in preparation for the thousands of visitors that will swell into the small town. The city remains visually the same as it did centuries earlier, roofs are red tiled, alleys are smooth marble. and porticos sit high above narrow alleys. Most alleys lead back into St. Stephens Square. Which, after six centuries of existence St. Stephens square remains the central point of Hvar, even in the off-season when locals congregate in the cafes lining the square. The harbor itself was quiet during April, aside from a few sailboats, it was empty in comparison to the summer months when yachts compete for space. April is the calm before the storm, yet locals remain relaxed in preparation for the thousands of visitors that will swell into the small town. Hvar is filled with plenty to do and many places to do absolutely nothing. In one day you can go from floating in a turquoise bay, to off-roading along cliffside roads, and finish by dining on world class seafood. There is no shortage of things to do on Hvar. 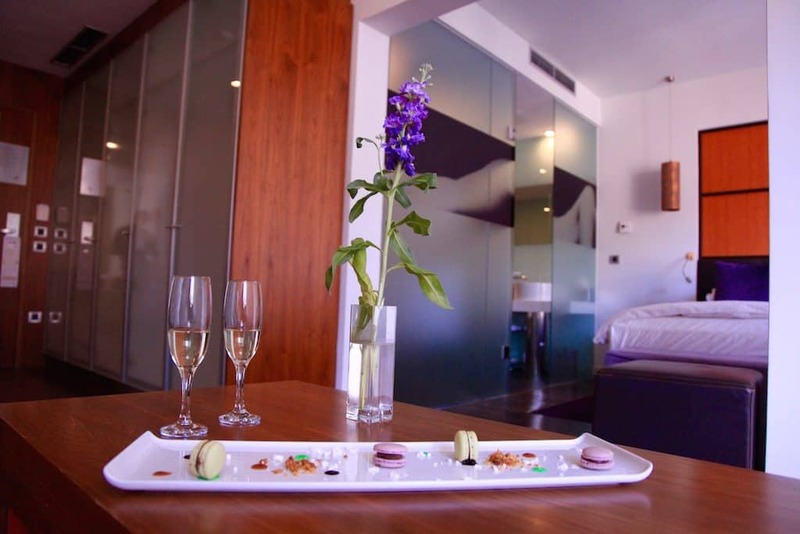 Looking for the best place to stay in Hvar for nightlife? Head to the islands! The Pakleni Islands that is, which act as a natural barrier to the harbor of Hvar town. The 21 lush islands act as a refuge for yachts and a must for any trip to Hvar. The island chain consists of numerous bays of crystal clear water, stone beaches, and quiet lagoons. The largest of the island in the summer hosts a slew of yachts and features a party that extends well into the next morning. This is one of the best summer party places in Europe! However, in April the islands remain quiet asides from the occasional construction project as proprietors gear up for the busy season. There are a number of ways to explore the islands. Water taxis run back and forth all day and night from Hvar to the Pakleni islands. The taxis leave from in front of the Arsenal, and take visitors to islands of Jerolim and Stipanska, which are considered some of the best nudist beaches in the world (although not officially condoned, yet). The taxis continue on to Ždrilca and Mlini and the last stop is Palmižana. Palmižana features several restaurants, guesthouses, and yacht harbor. It is the busiest of the islands and a must for those looking for something more than a beach. Rent your own boat to explore the Pakleni Islands. If it’s in the budget or you can gather a group and rent a small boat and take a short boat ride around. Enabling you to explore any bay, lagoon, island, or restaurant you see fit. 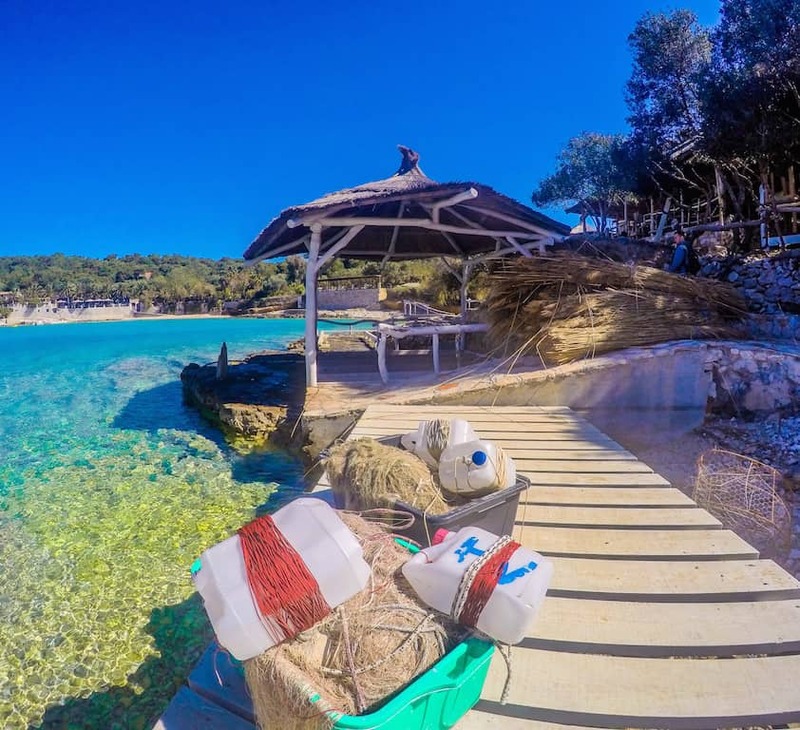 This means you can start your day off with some all natural bathing on the islands, followed by cliff diving, snorkeling, and a meal at a restaurant on Palmižana. Water taxis can get you to just about any of the Hvar points of interest. We found Mlini to be one of the most beautiful beaches on the islands and highly recommend. Hvar Island is a Mediterranean jewel with natural beauty that is hard to rival. Old roads form a network of trails throughout the Hvar region and they are slowly being reclaimed after being forgotten. These ancient roads extend back to the days when Greeks lived on the island a millennia ago. Unlike many of the islands in the region, Hvar is lush and filled with vegetation and interesting hiking trails. There are several highlights on the island that can be reached by simply walking out of town or taking a vehicle off-road, both of which we highly recommend. We set out for the small coastal town of Milna only a few kilometers from Hvar. It’s a small town with a few taverns for dining or having a cold Nescafe. If you’re looking for a more relaxing base you can find some great apartment rentals there. After a short hike out of town, old paths that used to connect the cities of Hvar head into the center of the island. From Milna, you can venture inland towards the abandoned village of Velo Grablje. Our hike up to Velo Grablje involved strolling through the old valley and on to ancient paths that once connected Hvar to the town of Stari Grad on the opposite side of the island. The hiking paths of Hvar go through olive groves, lavender fields, vineyards, up over peaks, and along quiet bays. The tourism board of Hvar island offers a great hiking and cycling map you can pick up at their office located in Saint Stephens square. The abandoned village of Velo Grablje was eerie and made for a wonderful stopping point to explore on our journey inland. The town was abandoned almost a hundred years prior due to a decimation of crops. The village of Velo Grablje may have no inhabitants, but it does have one restaurant. The restaurant, Stori Komin, references to the classic hearth used to prepare meals for centuries. Our meal consisted of regional products starting with local wine, prosciutto, cheese, and vegetables. 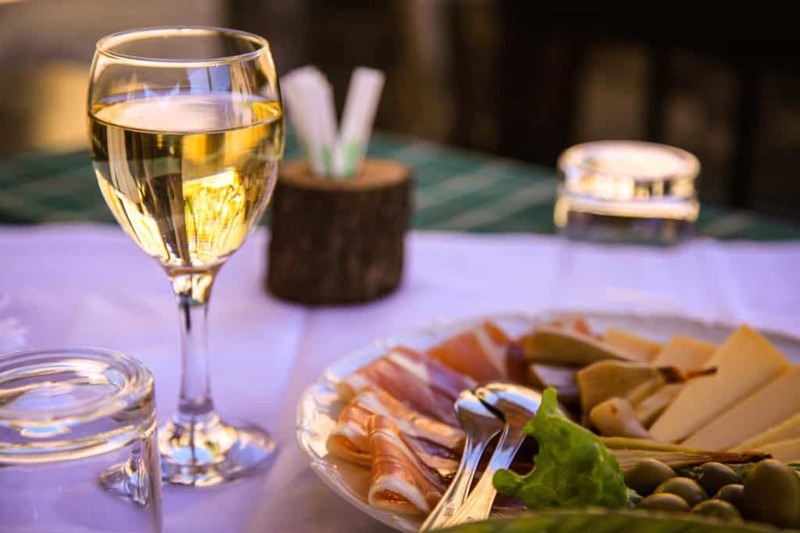 Wine aficionados cover your eyes, but the meals are often complimented with bevanda, a regional beverage of wine and water mixed, which is refreshing after a long hike on a hot day. The highest point on the island is St. Nikola which refers to the peak and the tiny church that sits atop it. 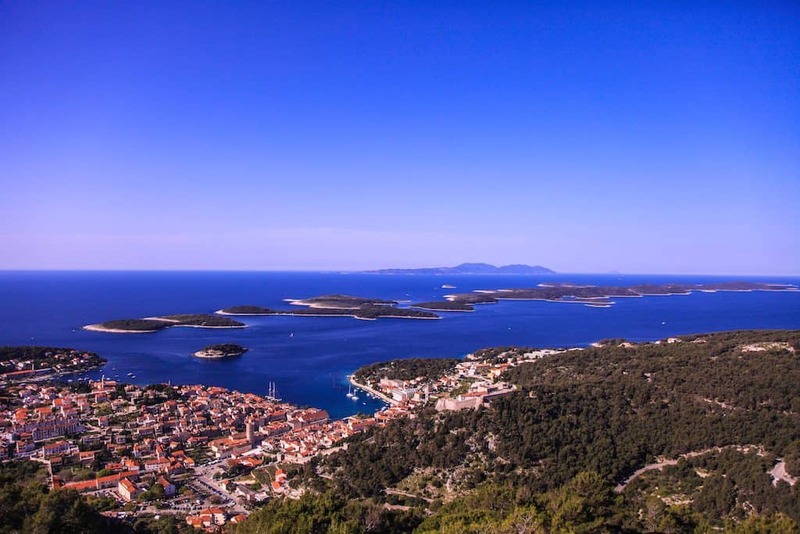 Anyone seeking a good adventure or hike will be sure to find plenty of enjoyment hiking up to the peak where they will be rewarded with views of Hvar, the Dalmatian Coast, and surrounding islands. After working up a sweat climbing to the peak we suggest climbing back down to Sveta Nedjelja to see the hidden cave church. Below the church is the renowned vineyards of Hvar that lie on the steep coastline facing South to take full advantage of the 2,720 plus hours of sunlight Hvar receives a year. Continue down into town to have a wine tasting at Zlatan otok, and cool down in the waters below. For those who wish to explore the islands off-road tracks, a 4×4 safari can be an excellent option. The off road truck gives you the ability to dive deeper into the island to interesting points seldom known. It’s great for those who don’t feel like trekking through the heat or are looking for something more exciting. 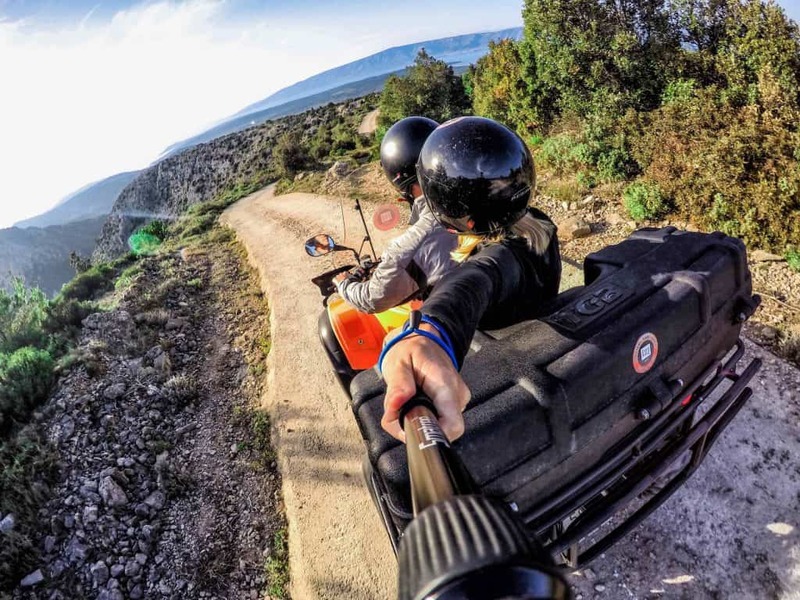 Secret Hvar provides guided tours through the history of the island as you ride through off-road tracks exploring the local flora and fauna. A favorite of ours was the history of lavender on the island. We found the web of stone walls that blanket much of the island to be fascinating. We were also able to properly learn about the history of the production of the fragrant flower that can still be found in large fields throughout the island. Hvar was once the largest producer of the fragrant flower, and still, produces some of the finest in the world with its ideal climate. However, production of the famous Hvar product has now become a local affair grown primarily in smaller batches for residents and tourists visiting the region. Exploring the island on your own accord definitely, makes for a fun filled adventure. We got our quad from IZI Rent and it enabled us to explore the whole island of Hvar. We spent the day riding down the southern coast up over the ridge and on to Jelsa. IZI Rent had a nice selection of cars, quads, buggies, and scooters to choose from. We decided to go with a 500 cc quad to give us a little extra power climbing the hills. We love our GoPro for shots like this! You don’t have to leave the main island to find beautiful bays, coves, and beaches. With proper transportation, you can find many splendid swimming holes throughout the island. The best way we found beaches was simply to explore. We had a great afternoon as we rode along the southern road high above beautiful bays pulling off towards the smaller towns to explore the surrounding coves. Our favorite would be Dubovica just a short drive out of Hvar town, be prepared for a 10-minute hike down to the beach. Wondering what to do on Hvar for some adventure? We set out looking for some different activities that the island had to offer. 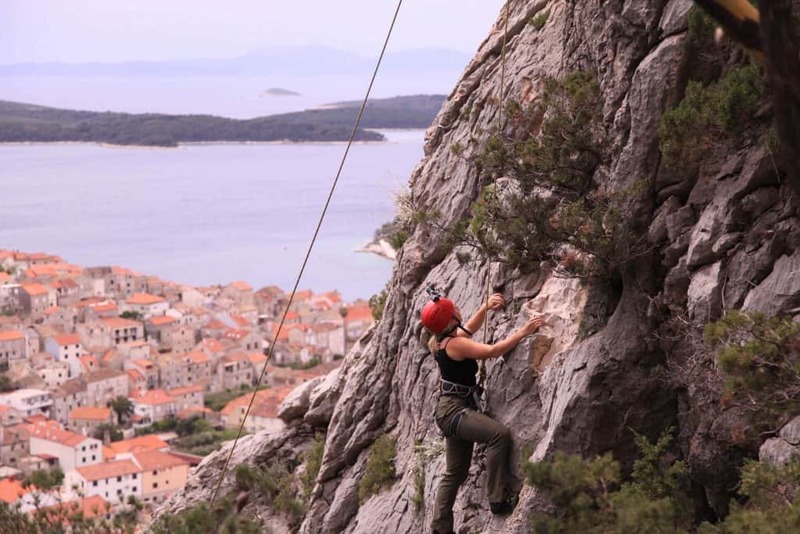 We got in contact with & Adventure who had the only rock climbing routes that offered impressive views over Hvar Town. During the month of April, it was too cold for us to get much enjoyment out of this one. However, we are told there are a number of spots where the locals and a few brave tourists alike go for a quick dive down into deeper waters. One of the best points for cliff diving in Hvar is just outside of Hvar town itself. With a cliff that drops straight down into deeper water, it is safe to jump from several points ranging from a few meters to 25. Check out the photo below to find the location. Or if you get lost just ask any local and they will happily point you in the right direction. The tranquil bays rich in marine life that surrounds Hvar make for an entertaining place to snorkel. You can see locals slipping into the water themselves as they go spear fishing for grouper and other varying types of fish. For those who have a passion for diving, you can contact one the local dive centers to check out an ancient Greek shipwreck. The seabed, now protected, is littered with amphoras. Combine this with the crystal clear Adriatic seawater for an interesting and unique dive. Sea Kayaking on the island of Hvar is another popular way to explore both Hvar and the Pakleni islands. Some of the great spots for sea kayaking can be found along the southern coast of the island below massive red cliffs, and around the Pakleni islands. When looking for the best place to stay in Hvar Island it is impossible to miss the Sunčani Hvar hotel group. They offer a wide range of hotels and are the largest provider of full-service accommodation on the island. The two largest properties on the island are the Adriana and the Amfora. During our stay in Hvar, we stayed at the Hotel Adriana located right along the harbor. This is definitely one of the nicer places to stay on the island and provides a plethora of romantic things to do in Hvar. Upon our arrival, we were greeted with Prosecco and warm towels before being whisked away to our rooms. Our room was large and featured a comfortable sitting room. Our service did not stop there as we were greeted with fresh flowers, macaroons, and a welcome letter. 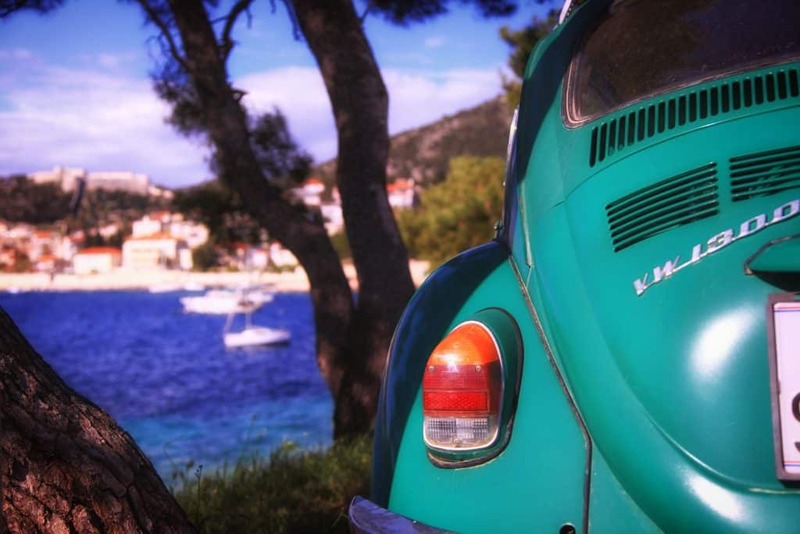 Looking for the best area to stay in Hvar, Croatia as well? The hotel offers some of the best views of the harbor and this was no exception for our room. You can wake up with your bedroom windows open to the harbor winds. 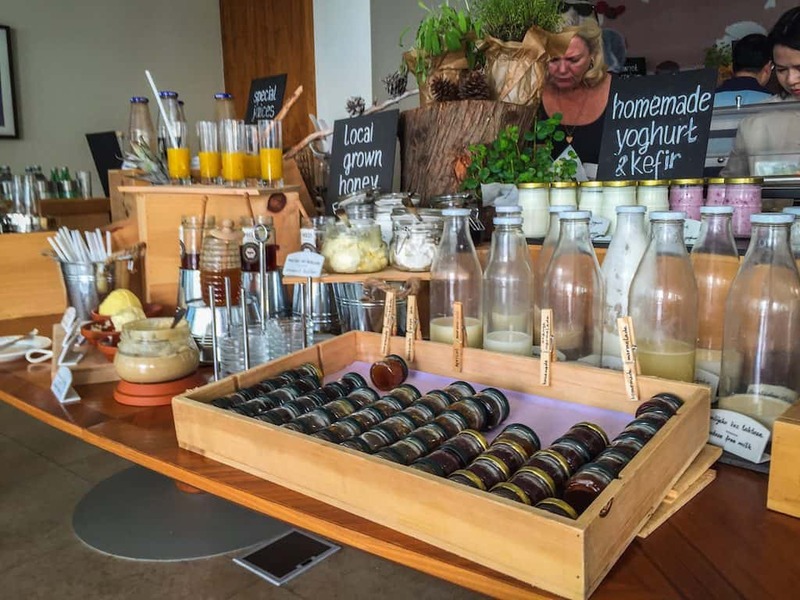 Breakfast is the best spread of health food options I have ever seen, featuring items such as a milk bar, fresh dragonfruit juice, homemade kefir, loose leaf teas, oils, fresh fruits, chia seeds, charcuterie, and plenty of roasted veggies. We paired breakfast with a glass of Rose and watched the day begin in the harbor. In the afternoon, it is great to head for the fresh saltwater pool. April provided the perfect temperature with cool water and air that was warm enough to keep comfortable. We spent an afternoon swimming in the pool and lounging around their rooftop cabana. The rooftop is replete with numerous lounges perfect for relaxing and enjoying the sun or shade. Which, if you come for nothing else you should head to the Adriana for its chic rooftop bar overlooking the harbor. 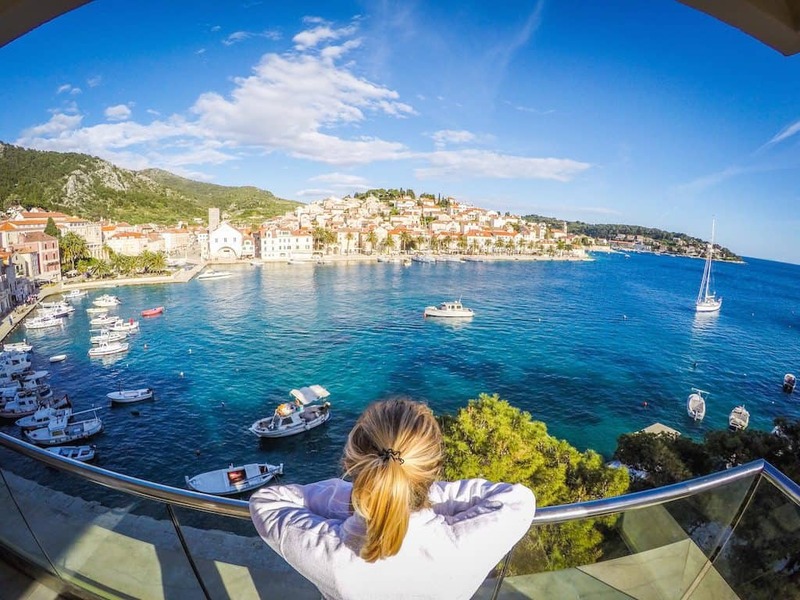 We have Croatian friends that travel to Hvar Island solely for this view! The rooftop has a wonderful selection of drinks and a selection of food to choose from should you get hungry. We always love an afternoon snack after swimming in the pool and lounging in the sun. Our room had everything we could need. Including a humongous closet, full sized bed, waterfall shower, and even a two-person whirlpool bathtub. We had no trouble relaxing and enjoying our time while staying in the Hotel Adriana. For those of you who prefer to self-cater instead of staying at a Hvar Island hotel, there are also plenty of apartments you can rent on the island. All around the island during busy season locals rent out their apartments to visitors. 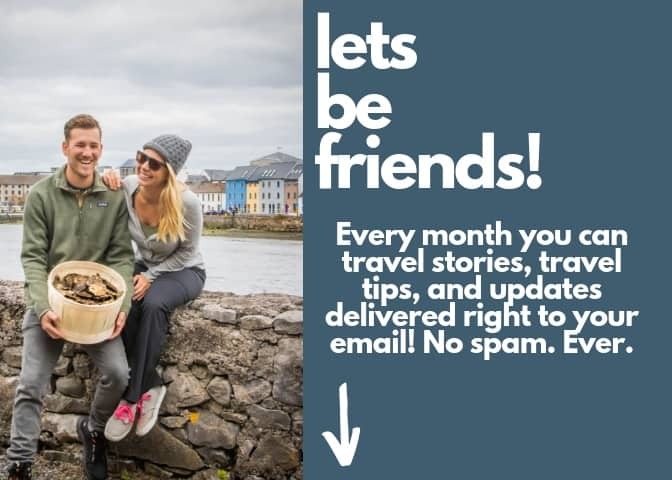 We always use Airbnb to find a home away from home, and you can use our link here for $20 off your first booking. Seated right in the Adriatic sea there is no shortage of rich seafood to be had while staying in Hvar. The sea itself is famed for its high salinity producing a bountiful selection of fish for dining that is delicious with minimal seasoning. We were told that you simply have to boil the fish for a delicious meal. Given the rich clientele that visit the island, a history of artisanal products, and an island rich in flora it should be no surprise that you will not go hungry while in Hvar. If there is a place to dine with celebrities Gariful is likely the spot. We had a fantastic meal of local fresh Adriatic seafood paired with a wonderful Hvar wine. Our meal consisted of fresh octopus, prawns, sardines, sea bass, calamari, and mussels. For anyone who loves seafood, it was truly a spectacular meal. Their impressive wine list will be sure to please any type of wine connoisseur. We found Gariful to deliver some of the best services in all of Croatia, boasting true island hospitality. For a more budget option, there is Mizarola. Serving up pizza, fish, risottos, and a nice selection of items to keep just about everyone happy. You’ll find locals hanging out here enjoying a beer or cafe watching the buzzing piazza it sits in. As mentioned before this restaurant is located in an abandoned town. Here you will find “no menu, no Coca-cola, and no french fries” It is simply local and traditional Hvar food. Such as, wonderful lamb and potatoes cooked over coals. Hvar is an island with Greek, Roman, Balkan, and Croatian influences. This translates to tons of wine consumption. 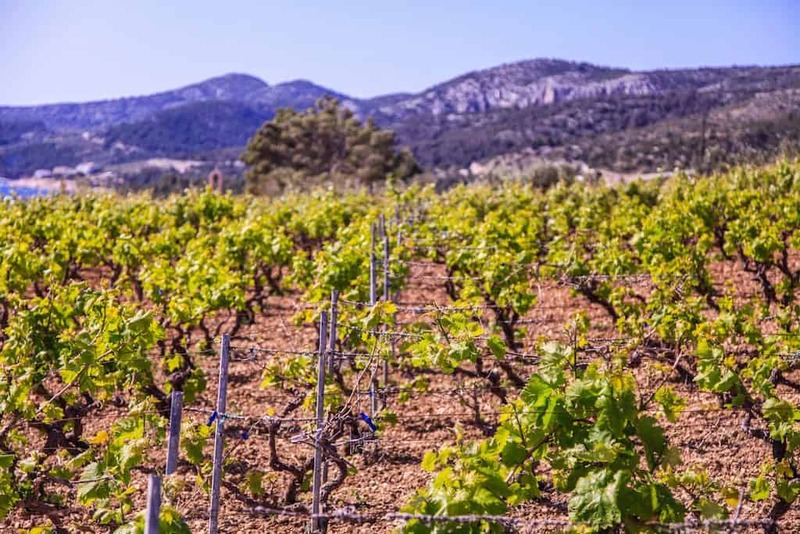 The rich natural environment of the famous south facing slopes of Hvar produces grapes high in sugar with all the sunlight that washes over them. Hvar is wine country and it is hard to go anywhere on the island and not find a vineyard hiding somewhere. They range from family-sized to larger producers, some even garnering international attention. We particularly enjoyed the wines from Andro Tomic and Zlatan Otok. The wines from Zlatan Otok are said to be some of the finest in the region and Hvar. The winery has an underwater tasting room located in Sveta Nedjelja, giving visitors an extraordinary experience. However, we’re sorry to say that Zlatan himself passed away shortly before our arrival on the island and we were unable to visit the winery. We do hope that his family continues to produce more great wines for the island of Hvar. Our favorite wine we’ve had from the Balkan region came from Andro Tomic. We had his 2015 Beleca and found it to be a fantastic compliment to our meal at Gariful. It’s most similar in taste to some Savougaun Blancs we’ve had in the past light, crisp and florally. 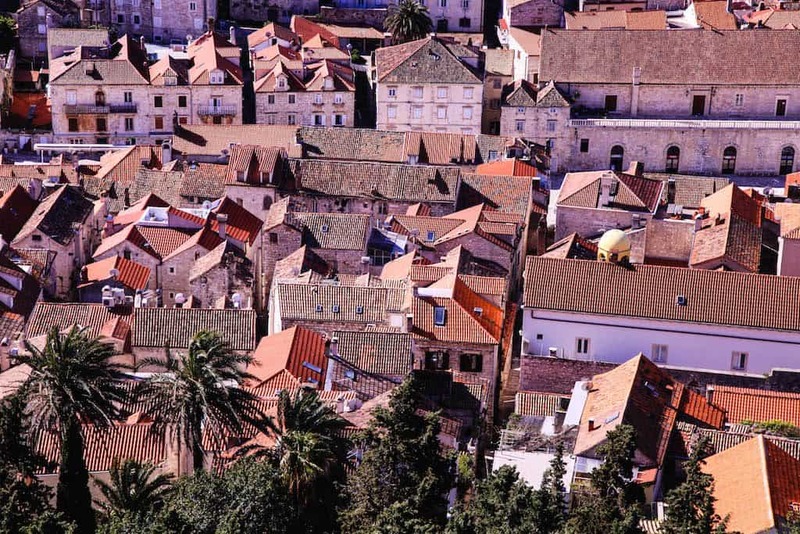 Hvar town itself has a timeless air to it. The building facades of the city center remain relatively unchanged after centuries. The town owes its character to the Venetians who took control of the island in 1278. They set about building a large stone fort atop the hill overlooking the island for its strategic placement. The current fortress dates back to 1551 when and was expanded to protect the citizens of Hvar during the Turkish invasion in 1571. However, due to an explosion of gunpowder in 1579 much of the fort was badly damaged and was repaired decades later in the early 17th century. The city walls and the fortress that sits above Hvar town are still very much present today. The Benedictine Convent moved into Hvar town in 1664 and holds a nice collection of arts. The fame of the convent comes from the lace they produce from agave threads. The art of lace making dates back to the 18th century and is on the UNESCO list of Intangible Cultural Heritage of Humanity. The small lace patterns are available for purchase and make a truly special gift. The theater, attached to the Arsenal, was the first public theater in Europe. Founded in 1612 the theater was open to all after a brief rebellion over the dissatisfaction of the class system in Hvar. The interior of the theater dates to 1803 when the theater society was founded. This prized piece of architecture sits just outside the old town of Hvar and was once on the road linking Stari Grad and Hvar. It is a classic example of a suburban home with two houses and a central garden. The estate served as both a residence and place of business of the famous Poet Hanibal Lucić. The church of St. Mary of Grace is a single nave gothic church built in the 15th century. It features a number of Renaissance pieces of artwork and is the resting place of the local poet Lucić. If you’re looking for some day drinking and aprés-beach relaxing then Hula Hula is the place for you. 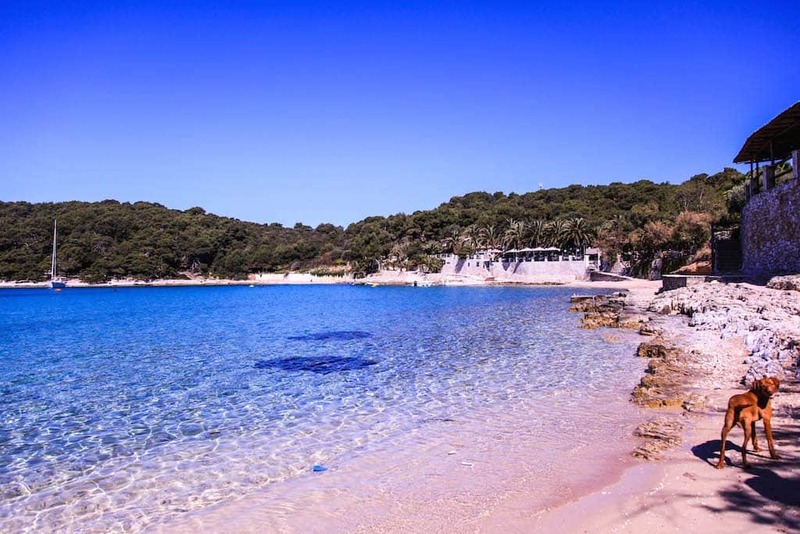 Situated just west of Hvar Town you can walk out of the city center along the coast to the humming beach bar. It’s frequented by just about everyone and was even visited by Beyonce and Jay-Z for those who are fans of pop-culture. This is probably the most famous club in the region and if you’ve already been planning on visiting Hvar island you’ve likely stumbled across it a few times. Beach revelers should head to Stipanska Island on the Pakleni Islands. Carpe Diem more or less operates 24 hours a day serving up drinks to sunbathers during the day and music to a large crowd late into the next morning. Located in central Hvar this bar features live music every night in the high season and has one of the best atmospheres on the island. Much like the island of Hvar this bar is for everyone or anyone looking to hear some live music and have a drink. There are two main ways on the island – fly or take one of the many boat options. The primary way to get to Hvar island is from Split. Jadrolinija is the main ferry provider in Croatia. They have two different schedules – one for the high season and another for the low season. You can find more info on Jadrolinija here. All of the larger ferries arrive in Stari Grad which then requires a bus ride to Hvar Town, bus times usually coincide with ferry arrival times. International ferries from Ancona are also possible via Jadrolinija. The fastest and most convenient way to travel via public transport are the catamarans. Their smaller size also allows for them to arrive directly in the town of Hvar. More info about locations that they operate from can be found here. If you’re arriving by yacht you probably already know what you’re doing or have a crew who does. However, Hvar Town and the surrounding marinas in the summertime swell with yachts and sailboats from around the world. It is possible to arrive via Seaplane, and for quite an affordable price. We considered flying in just for the novelty and sheer convenience of arriving via Seaplane. , or to feel more at home in the Balkans we use Airbnb. Here is a coupon for your first stay!